A unlike any other. 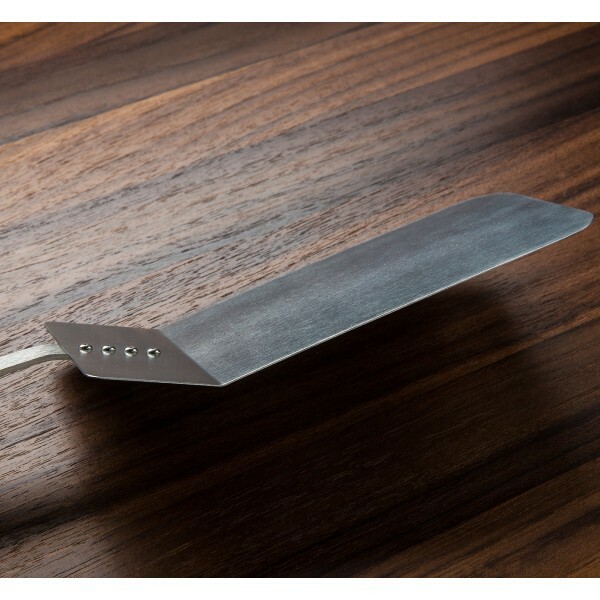 Hand made in Wyoming in small batches, these strong, thin, and flexible titanium spatulas are light and low profile, perfect for the home or professional kitchen. Wherever you use a Draper Titanium Spatula, you'll find it's right at home. The thin (.020") spatula head is flexible enough to bend well over 90 degrees to scoop anything from any pan, yet strong enough to instantly bounce back and do it all over again. Leather tie included. Featured in Edible Brooklyn & Edible Manhattan Magazines. 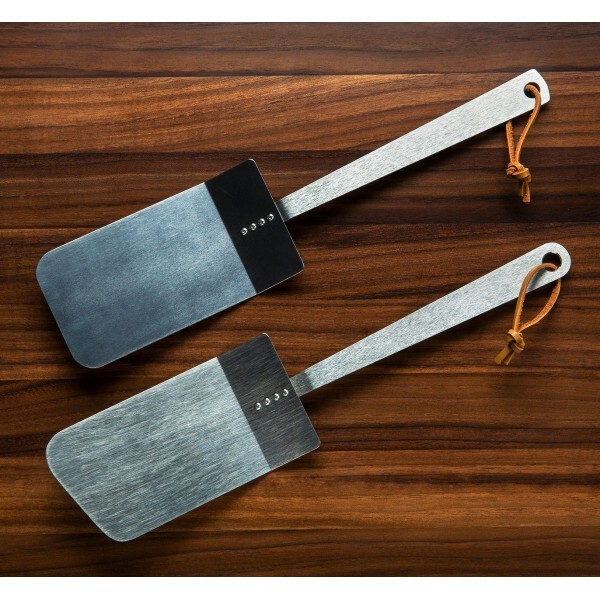 Available in both angled and flat-head configurations, these titanium spatulas are low in heat conductivity but lightweight, strong, and flexible, making them ideal for the heavy lifting of a caveman-worthy evening of outdoor grill work and the gentle touch of indoor prep work alike. Titanium is one of the best suited metals for cooking utensils as it is 100% nonmagnetic, hypoallergenic, and won't rust or corrode. It's easy to clean and light in your bag. 6AL4V Titanium head & handle, 302 Stainless Steel screws. Leather tie. I am very thrilled with my new spatula.  I had a sterling experience shopping with Eating Tools, and if given reason will return for business. 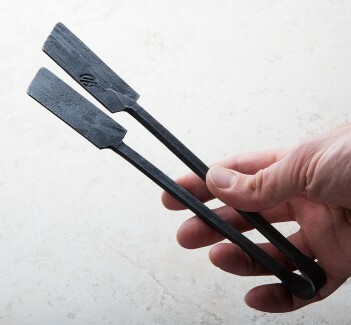 This spatula is heirloom quality. I hope to die with this spatula still in my kitchen. I would highly recommend this product to anyone. Well done Mr. Draper and Co. 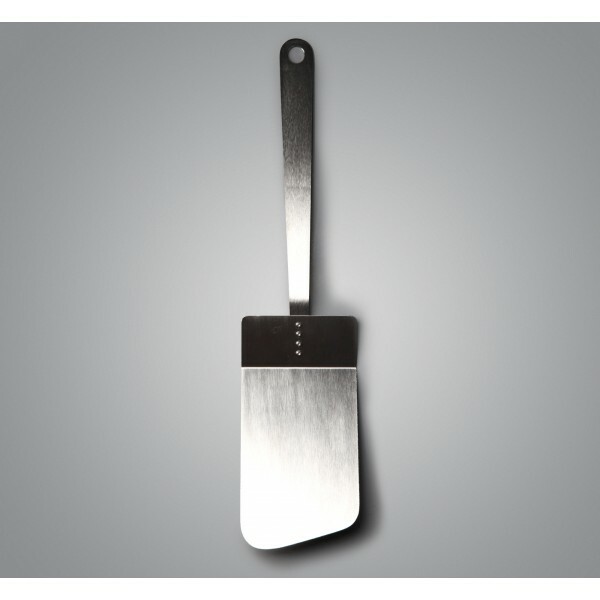 I purchased this spatula for my husband's birthday. We already owned the small size, which we use everyday. This beauty is all I'd hoped it would be: sturdy, flexible, a good grip and I love the leather cord it hangs from. I would recommend these to anyone. 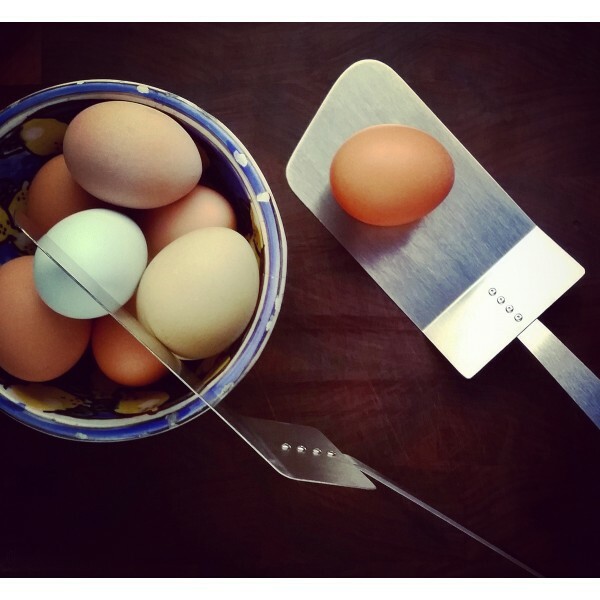 This tool will save you from ever breaking another egg yolk when you flip! 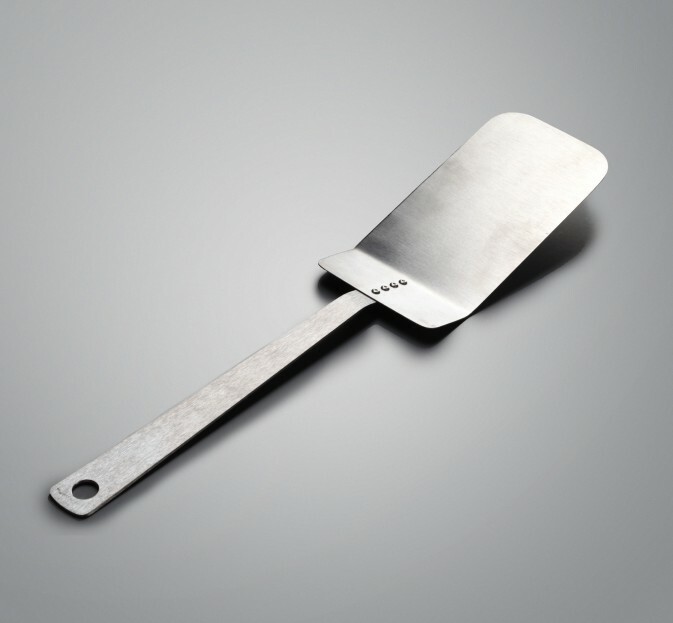 This slim, flexible spatula is indispensable! I've used it to flip steaks, fish, and chicken, scoop up veggies, even stir sauces. It's lightweight but super durable, and it doesn't scrape my enamel cookware. The handle doesn't heat up, so I don't have to worry about leaving it in the pot. Recommended for pro and home chefs alike! This is an amazing spatula. I actually told my husband that it's "life changing!" So happy its part of our kitchen arsenal now. Bought this as a gift for someone and decided to get one for myself as well. Love how lightweight and thin the spatula is, while keeping its sturdiness. Super flexible and the handle stays cool while cooking. 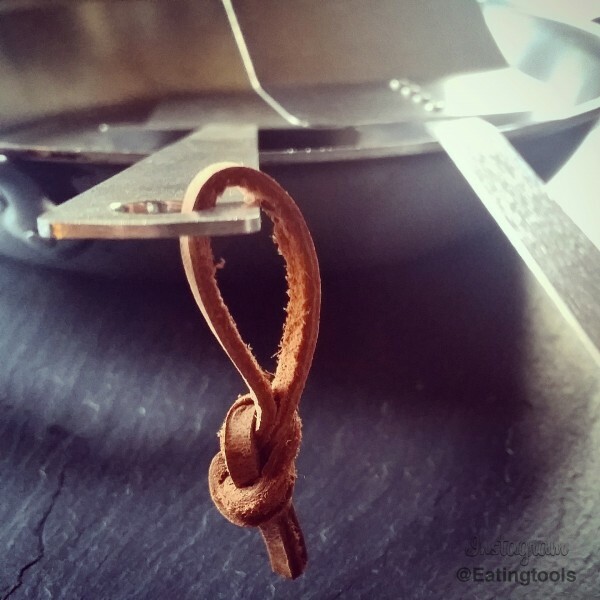 Such a simple design but a perfect tool for the kitchen.